Beijing, China: At the time when the 19th National Congress of the Communist Party of China was being held, World Internet Of Things Convention (WIOTC) China Summit was held in China National Convention Centre on October 19, 2017. Guan Jinghui, former Secretary General of Publicity Department of the CPC gave an opening speech. He Xuming, Executive Chairman of WIOTC delivered a theme report about ‘Innovate China IoT new economy and promote the huge development of IoT world’. Li Bohu, Academician of Chinese Academy of Engineering made a special report around IoT intelligent cloud. International IoT experts and scholars and enterprises representatives had multiple high-end dialogues around IOT for sustainable development, IoT smarter energy, intelligent transportation and Internet of vehicles. Representatives of enterprises on the World IoT Ranking List were issued certificates by WIOTC. Nearly 500 honoured guests including enterprises, scholars and experts, some ambassadors and diplomats from more than 30 countries such as China, America, Germany, New Zealand, Austria, Japan, Malaysia, Switzerland and Slovakia attended the summit. Zhang Xiaogang, President of ISO and Karen Bartleson, President of IEEE respectively sent congratulations letter and video speech to wish for the successful holding of WIOTC China Summit. At the summit, with the grand opening of the global IoT platform–Smarter Planet IoT Group, contracts were signed for the construction of Beijing smart community and Zhengding technology new city and project cooperation of Asian centre. Libohu academician mentioned in his speech that IoT + Artificial intelligence + Big data + this era brings up a challenge to our society, but also brings a good opportunity. A new technology revolution and new industrial revolution is ongoing. The demand for this era is innovation, green, open, sharing and personality. Nazery Khalid, expert of Association of Marine Industries of Malaysia elaborated IoT application, research and development in marine and shipping industry, focusing on the theme of the summit. The grand opening ceremony of the global IoT platform — Smarter Planet IoT Group and cooperation signing ceremony for the construction of Beijing smart community and Zhengding technology new city and project cooperation of Asian centre pulled the climax of the summit. Liang Zi, the host of conference and robot YOYO introduced the development route of Smarter Planet IOT Group, which was to combine IoT advanced technologies of China, the US, Germany and other countries to jointly build IoT demonstration project, demonstration enterprises, demonstration garden and base in the five continents, to invest in constructing IoT demonstration country, province, city, district, county, town and community, to promote the global development of IoT industry and implementation, and to gradually form the carrier of global IoT system construction. Zhang Keping, Guest Professor of Tsinghua University, Dr Shen Jie, group leader of National IoT basic standards working group and Chief editor of ISO/IEC IoT Architecture International Standard, Wang Zhengwei, vice chairman of WIOTC respectively hosted the high-end dialogues about IoT for sustainable development, IoT smarter energy and intelligent transportation and Internet of vehicles. Current issues and future direction of IoT sustainable development, IoT new energy, intelligent transportation and Internet of vehicles have been discussed, explored and engaged by tycoons, representatives and experts from China Telecom, China Mobile, China Unicom, ZTE, Bosch Group, GSMA, Taiwan IoT Alliance, Xiamen IoT Industry Alliance, Z-Park IoT Industry Alliance, Tsinghua University, Hanergy, Fujitsu, Sinopec, Ningbo Association of IOT, Beijing Institute of Technology, ZTEWelink, ZTE ITS, China Electronics Technology Group Corporation and GS1 China. New concepts, new ideas and new measures have been brought up, such as how new energy will develop to promote global IoT sustainable development, geothermal development and usage. Certificates issuing for enterprises on the World IOT Ranking List pulled another climax for this summit. 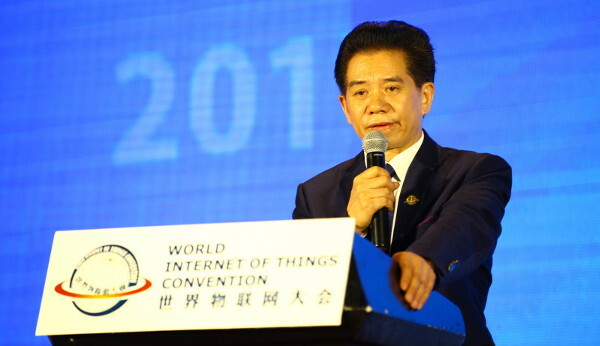 He Xuming, chairman of World IOT Foundation and diplomatic envoys jointly issued certificates for almost 30 enterprises representatives, such as Huawei, Bosch, Infineon, China Telecom, China Mobile, China Unicom, SAP, ZTE and ZTEWelink. The IoT Wisdom Revolution is the future, which is inevitable. WIOTC will cooperate with all the countries, social organisations, and enterprises to build IoT demonstration districts and countries, so as to benefit people all over the world with wisdom life and work, write a new chapter for the IoT era and embrace the new era of Wisdom Revolution.